Lazy Fascist Press, 9781621051473, 168pp. 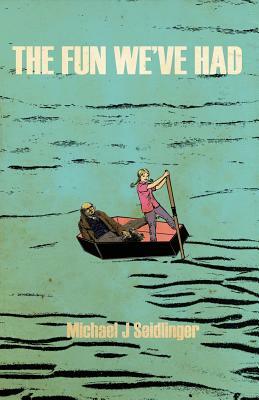 "Michael Seidlinger is a homegrown Calvino, a humanist, and wise and darkly whimsical. His invisible cities are the spires of the sea where we all sail our coffins in search of our stories. "-Steve Erickson, author of "Zeroville"
Two lovers are adrift in a coffin on an endless sea. Who are they? They are him and her. They are you and me. They are rowing to salvage what remains of themselves. They are rowing to remember the fun we've had.